From one of the world's best-loved pianists, comes a hugely insightful and enjoyable book for all piano lovers. 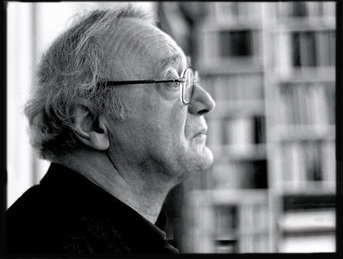 Ever since Alfred Brendel bid farewell to the concert stage after six decades of performing, he has been passing on his insight and experience in the form of lectures, readings and master-classes. 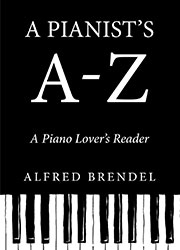 This reader for lovers of the piano distils his musical and linguistic eloquence and vast knowledge, and will prove invaluable to anyone with an interest in the technique, history and repertoire of the piano. Erudite, witty, enlightening and deeply personal, A Pianist's A to Z is the ideal book for all piano lovers, musicians and music aficionados: rarely has the instrument been described in such an entertaining and intelligent fashion. Alfred Brendel is one of the greatest living pianists of our time, renowned for his masterly interpretations of Haydn, Mozart and Beethoven. Playing the Human Game is his first and most comprehensive collection of poems in English appearing alongside their original German versions. 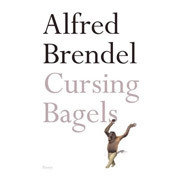 Brendel�s poetry presents a world of enchanting humour, music and madness, which has drawn praise from the playwright Harold Pinter and Former Poet Laureate Andrew Motion among many others. 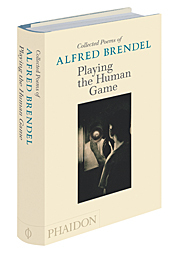 Containing over 200 poems, Playing the Human Game features many previously unpublished works, and is beautifully illustrated with artworks that have inspired Brendel and his poetry. 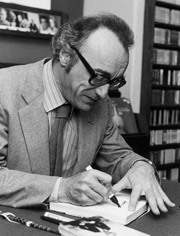 The definitive collection of Alfred Brendel's writings combines his two classic books, Musical thoughts and Afterthoughts and Music Sounded Out and also includes new, previously unpublished essays. 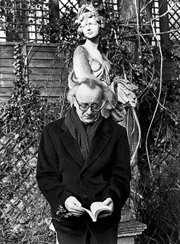 Since the 1950's, Brendel has been one of the most prolific recording artists in the world. And here, in one volume of his best work, he brings the clarity and originality of expression that characterize his performances to the printed page. Whether discussing Bach, Mozart, Beethoven, Schubert, Liszt, Schoenberg, or other pianists, his reflections will prove invaluable to serious piano players and listeners alike. He writes so well that it seems almost unfair in someone who plays as he does. Everything he writes demonstrates the acuteness of his intelligence as well as the depth of his sensibility. ...a blending of the musical and human, historical and personal. It is what gives his writing, like his playing, its sense of excitement and commitment. Several poems appeared in Frankfurter Allgemeine Zeitung and Neue Zürcher Zeitung.